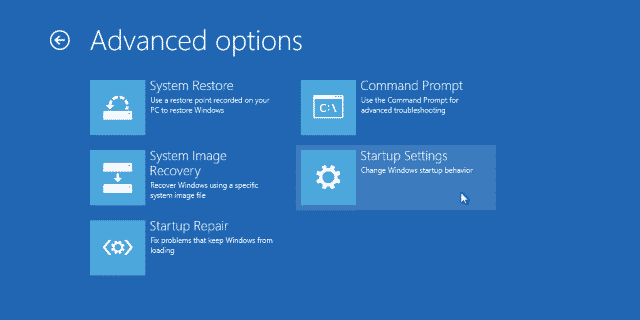 The Automatic Startup Repair loop in Windows 10 is a frustrating place to find yourself. Your computer reboots constantly and doesn’t let you interrupt it or find out what’s wrong. It seems an endless cycle that you can only interrupt by powering off. Fortunately, there is a way round it. There are a few simple techniques you can use to interrupt the cycle and troubleshoot it. I’ll show you how. To be able to troubleshoot the Automatic Startup Repair loop, we need to get the computer working and interrupt the cycle. For that we’ll use your Windows 10 installation media. If you bought your PC with Windows already installed or upgraded to Windows 10 from a previous version, download the Windows 10 Media Creation Tool and create one. Set your computer to boot from the media you just created in the BIOS. Once the installer reaches the window that says Install, select Repair your computer in the bottom left corner. Select Troubleshoot, Advanced options and Command Prompt. This will take you to the Windows Recovery Environment. Type ‘chkdsk /f /r’ into the Command Prompt window and hit Enter. Go back to the Command Prompt window. This will utilize the built-in System File Checker to verify your Windows 10 boot files. If it finds any issues the process will automatically fix them. Reboot your computer and retest. Select Troubleshoot, Advanced options and Startup Repair. The reason we don’t do this first is that it can be a little hit and miss. Allow the process to complete. If it finds errors, reboot and retest. 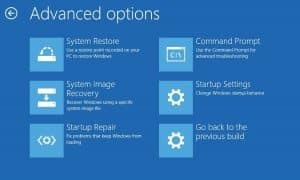 Those steps should have your computer booting into Windows 10 as normal. If it doesn’t, call us here at Dave’s Computers on 908-428-9558 and we’ll take care of everything for you.